As most of you know, here in the Carolinas, winter really doesn't even begin until late January. I mean the days get shorter and it is kind of dreary out. But if you are looking for snow and ice, think January or February and sometime March. It was February/March last year when we were hit with two storms in a row. The second one lasted half a day and we were without power for the next four days. By half a day, I mean the sun was shining and ice gone by 3p. No matter, we still were without power for the next 4 days. No school, no heat and most importantly....no way to turn on the mixer. 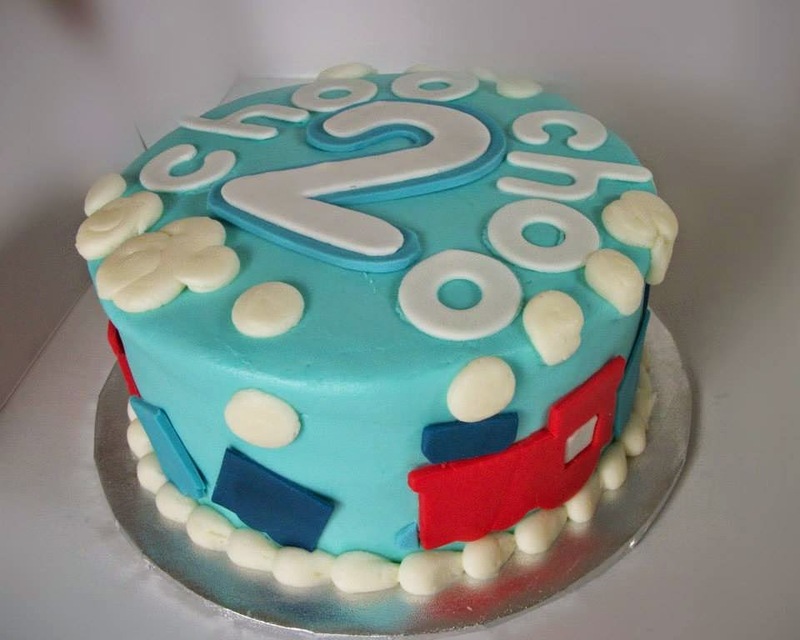 By the grace of God, I had already baked all the cakes for that weekend and even had finished most of the decorations. Just need to make frosting.A lot of frosting. That meant a mixer, running water and paper towels. Enough time has passed I can finally share the story of that weekend and the 4 orders I finished on the fly. 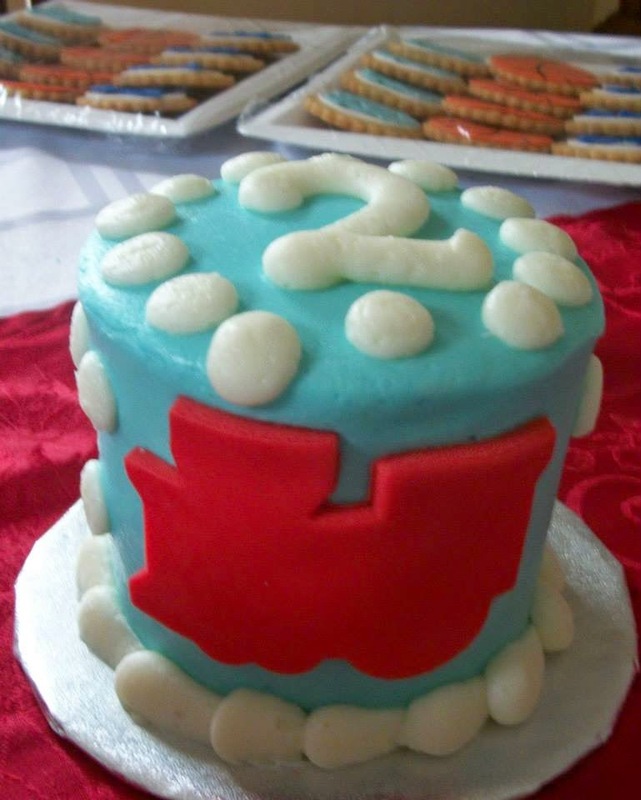 First up is this adorable set of cake, smash cake and cookies. I loved this whole design. At this point in the weekend, I was still feeling positive. Lee hooked up his generator and plugged in my Kitchen Aid, I set up the 5 gallons of water at the sink and I was ready to go! 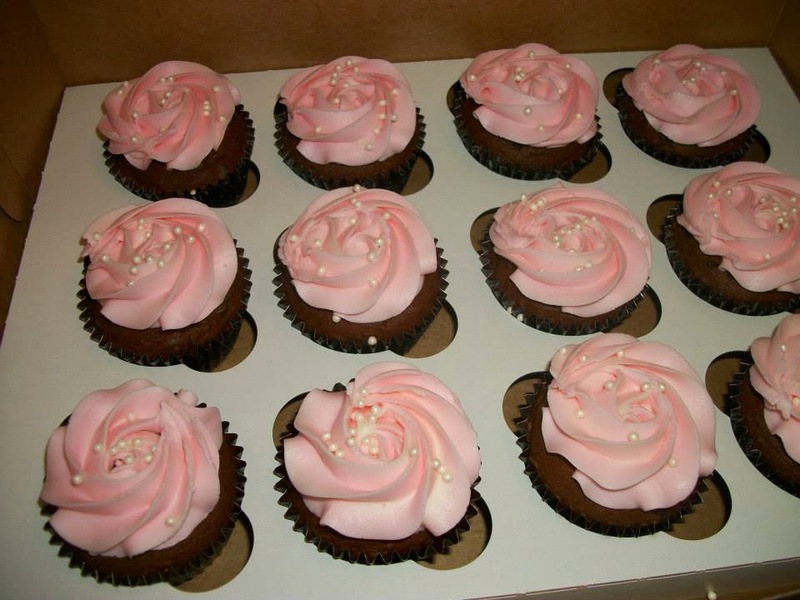 Next, were the simple and elegant cupcakes for a wedding shower. These were sweet and simple. No power? No problem. I did have to call and change the location pick-up because I knew we would not make it much longer in our house. By the now time was flying, one day turned in to two. 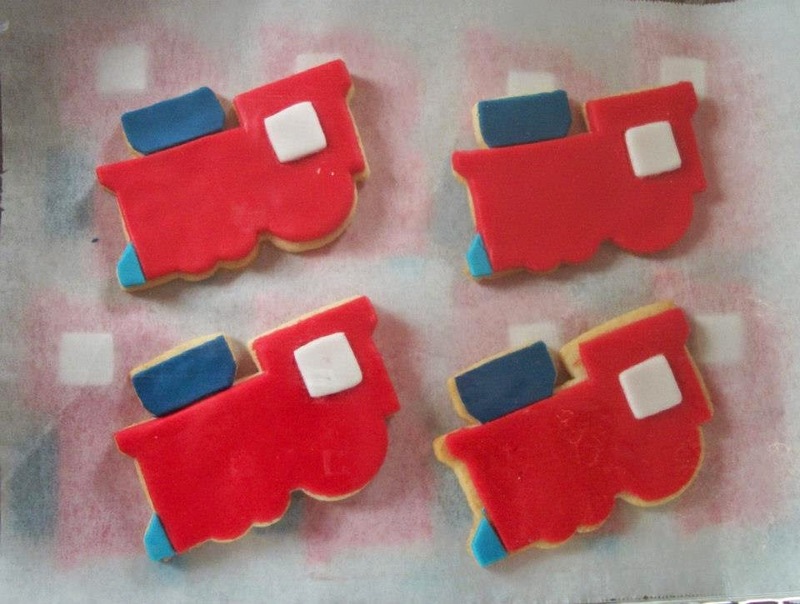 I was confounded that such a short storm could disrupt My Baking Schedule so much! I packed up the Kitchen Aid, cake, butter, sugar and, well, enough stuff to compete on Cupcake Wars and moved to the first borrowed kitchen of the weekend. That was enough time to run the mixer and frost two cakes to chill in the fridge for stacking the next day. The next day, I moved the whole show to the second borrowed kitchen for several hours to decorate this beauty for a wedding shower at my favorite, Ellis Park. 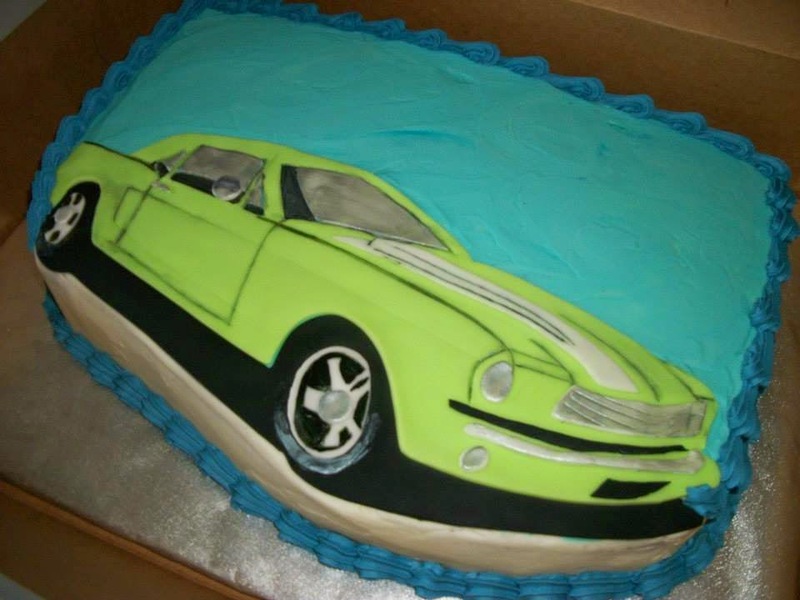 And called the customer and offered to deliver the cake to gain a little more time. I didn't even get a picture but downloaded these from facebook. Finally, after three days and two kitchen and waking up to yet another day of NO POWER. I move to the third borrowed kitchen. Although I was so very, very tempted to cancel this order, I was so very, very happy I did not! I was not able to print the image I wanted from my own computer but went to Staples for their help, Then got busy fulfilling this last order for the Weekend-With-No-Power. 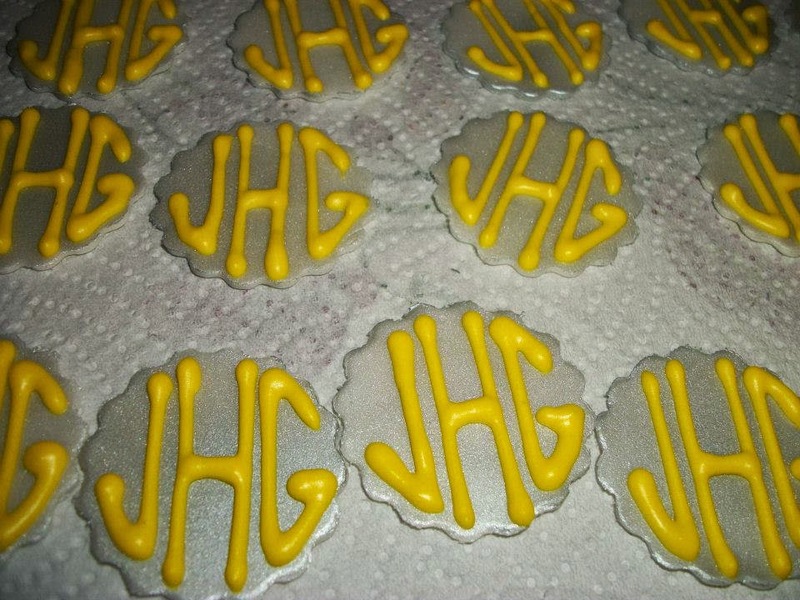 The circles and monograms were for cupcake toppers. 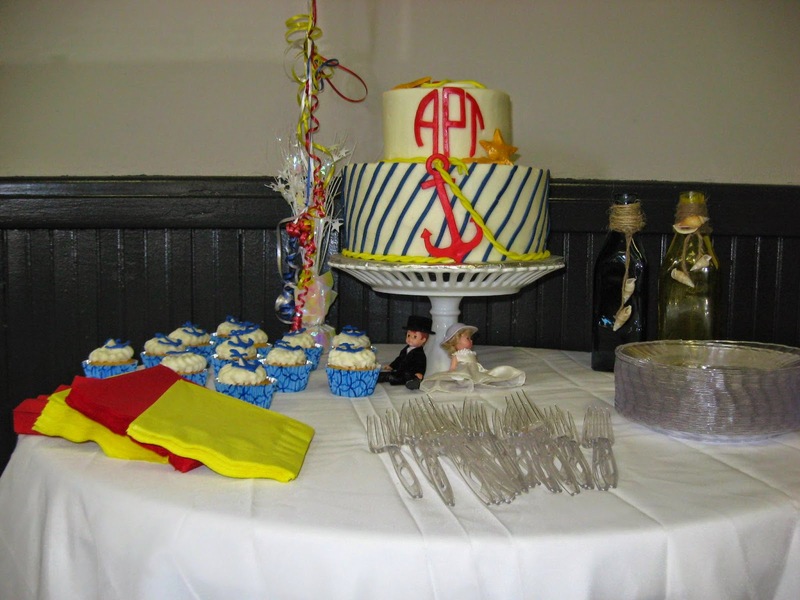 I can't remember how many cupcakes, nor can I find my notes.And the sheet cake was for the grooms cake. 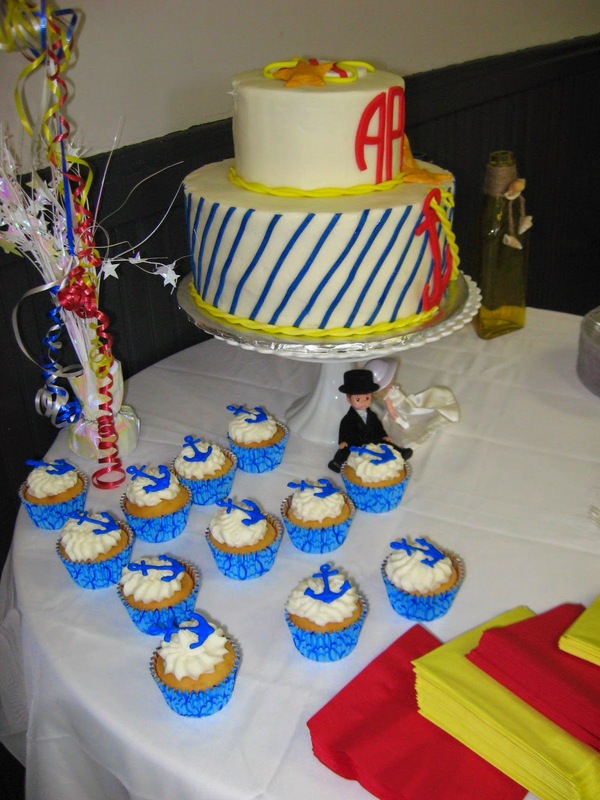 When we arrived, I learned that the bride's cake baker had also lost power and sent what she was able to complete. A very,very small cake. My heart went out to the bride and baker. Losing power is hard to overcome when your buisness is at home. And I was so very, very glad that even though this cake was not what I had planned...the guests would have cake at the reception! What a weekend. I can't say how grateful I am for two sisters and a very dear friend giving up their kitchen for hours at a time for me to complete these orders. I've had a year to consider what kind of plan I would have next time the power goes out. Meanwhile, I'll keep praying that it doesn't!